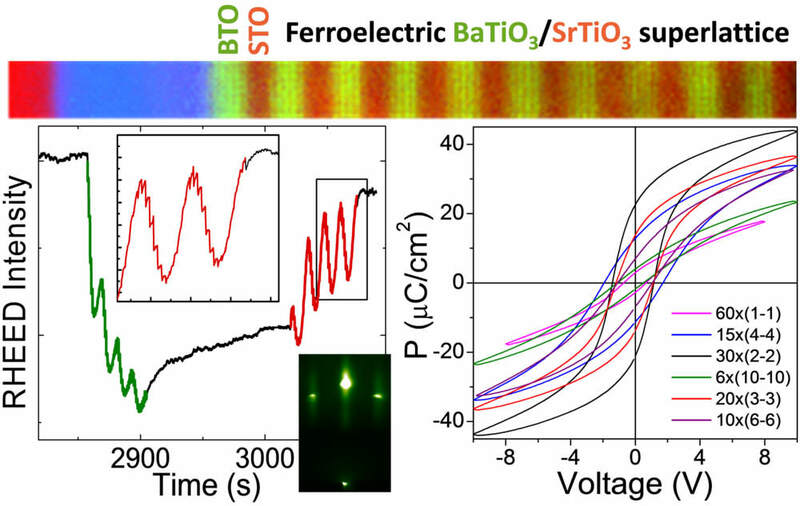 The polarization of ferroelectric superlattices is determined by both electrical boundary conditions at the ferroelectric/paraelectric interfaces and lattice strain. The combined influence of both factors offers new opportunities to tune ferroelectricity. However, the experimental investigation of their individual impact has been elusive because of their complex interplay. Here, a simple growth strategy has permitted to disentangle both contributions by an independent control of strain in symmetric superlattices. It is found that fully strained short-period superlattices display a large polarization whereas a pronounced reduction is observed for longer multilayer periods. This observation indicates that the electrostatic boundary mainly governs the ferroelectric properties of the multilayers whereas the effects of strain are relatively minor.